Simply put, TradeStation is one of the best online brokers for serious, professional traders. Although beginner traders will certainly still be able to use TradeStation’s platforms, they likely won’t unlock the full potential. TradeStation offers robust downloadable trading platforms for US equities, options, futures, forex, and fixed income, as well as select international futures. Low prices, quality execution, and reliable trading technology make TradeStation our favorite broker for active traders in 2018. 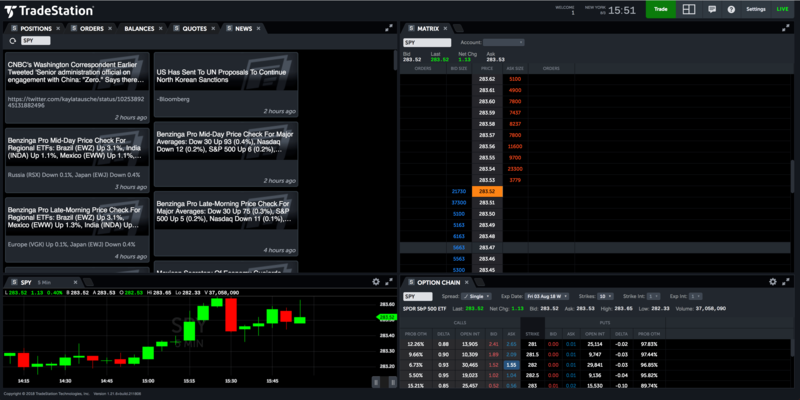 The downloadable TradeStation platform has everything a modern-day trader needs. One of the best features of the TradeStation platform is the ease of customization. You can drag and drop windows wherever you want them. TradeStation’s mobile application has improved dramatically for 2018. It’s strikingly similar to thinkorswim by TD Ameritrade. Managing positions for options and futures on TradeStation’s mobile app is easy and seamless. This is definitely one of TradeStation’s strongest selling points. All of their level II data is now completely free, which it should be. Nonetheless, TradeStation offers full depth of market on options, stocks, and futures. Many brokers just offer the NBBO for stocks and options, but TradeStation offers complete and total access. We never experienced any lagging or delayed quotes. Plus, when calling in to speak with TS customer service, there is an option to report a “questionable data point.” Safe to say they’re on top of their stuff. 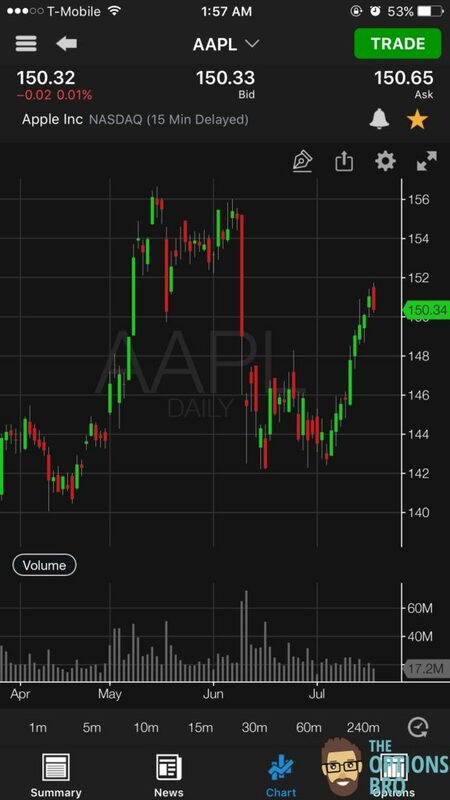 When we signed up for an account we were immediately approved for level 5 options trading. We have open and funded accounts with 10+ options brokers, and options trading approval isn’t always this easy. It saves everyone time when approval is quick. The minimum requirement for sophisticated options trading strategies, like selling index calls, is only $5,000. With many other brokers, requirements can be as high as $25,000. TradeStation doesn’t offer 24/7 support like many other brokers, but we didn’t encounter a situation where we needed it. During the account setup process, we called in a few times as a test, and customer service representatives were always friendly and helpful. Active traders will love TradeStation – period. The fact that it’s totally free to open and maintain an account with an online broker that offers full depth of market access, discounts for active traders, and free downloadable trading platforms is an amazing deal. All-New Pricing. Now Only $5/Trade + No Software Fees.